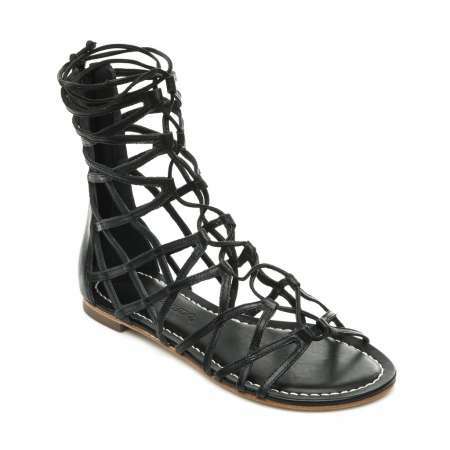 The ultimate gladiator sandals by Bernardo. 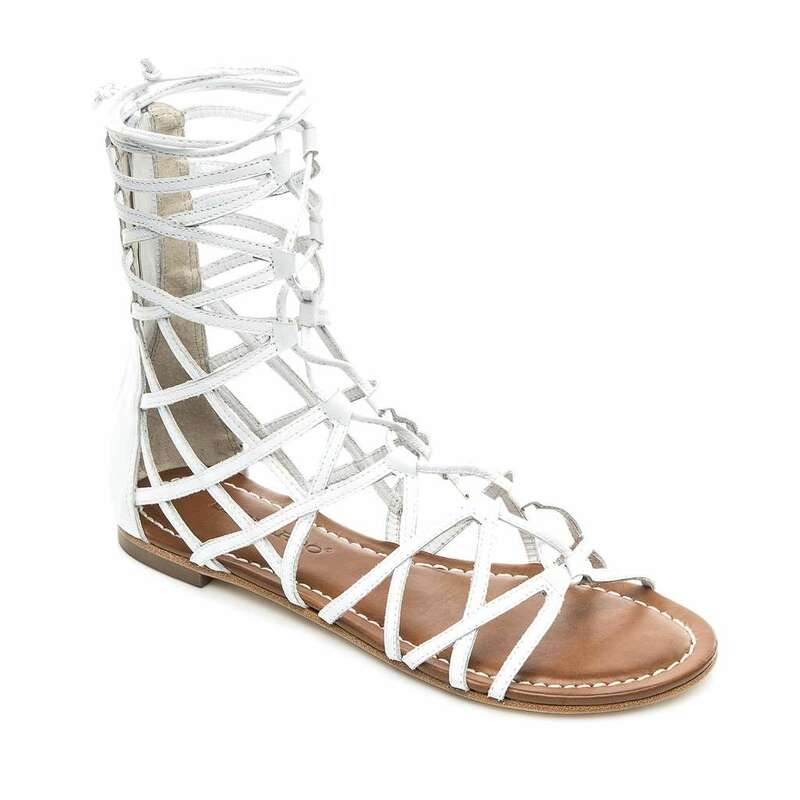 These lace-up, caged, strappy, sandals zip up the back and the leather laces make them completely adjustable for that perfect fit. 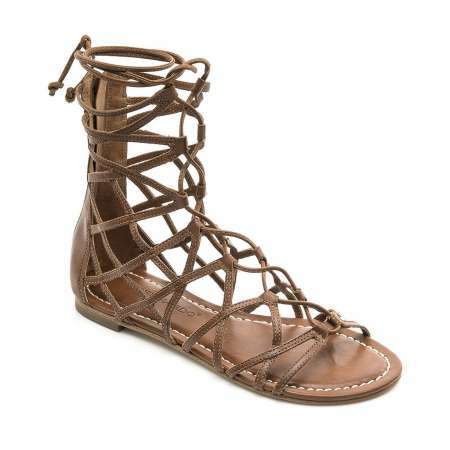 The cushioned footbed ensures they are comfortable, as well.